The Mission-style Clark Kerr Campus is listed on the National Register of Historic Places and is a City of Berkeley Landmark. 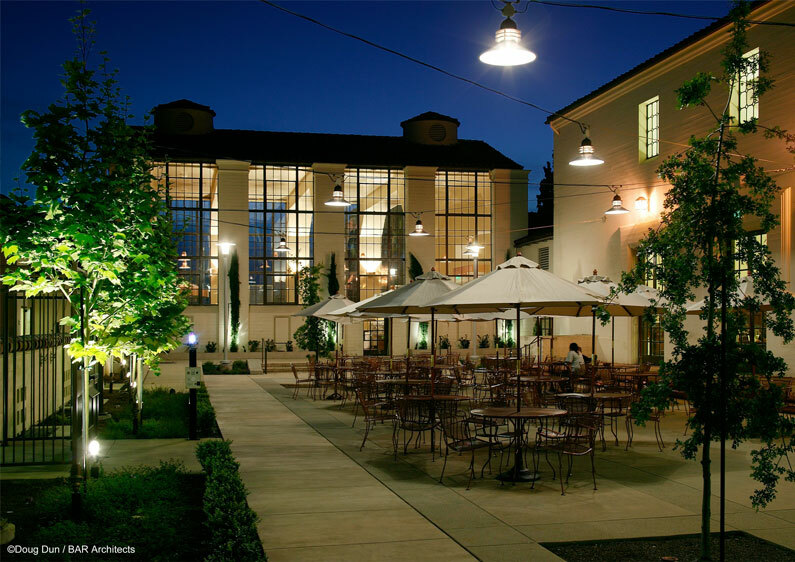 The project included upgrading the kitchen, renovation of the dining halls and the redesign of three outdoor courtyards. 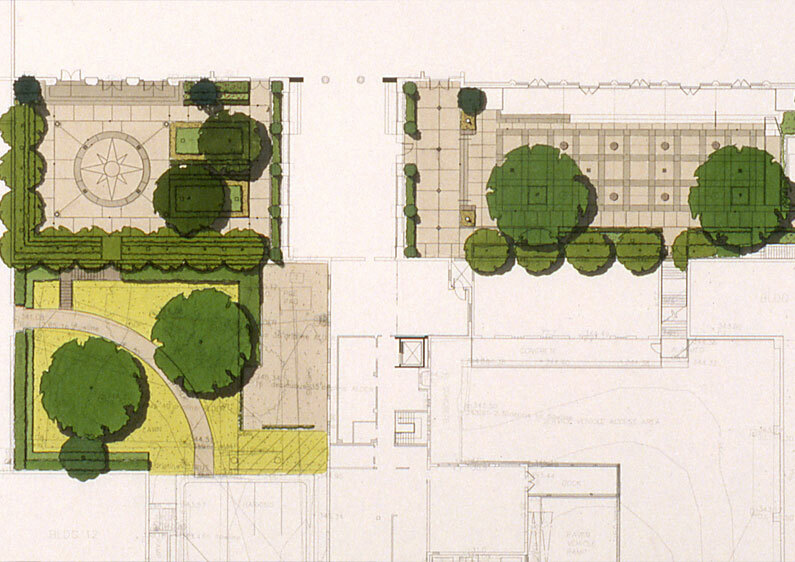 The design of the courtyards is based upon precedents established on the campus and on the original plans and photographs of building. Landscape improvements in the courtyards included new paving, stairs, lighting and planting. Plant materials were selected based upon the culinary and medicinal species that were found in the early mission gardens. The project was completed under Federal guidelines for the renovation of historic buildings and landscapes.